Today, we began picking in Montalcino, where Sangiovese is the only grape variety we grow. The berries are beautiful, with perfectly formed seeds and extraordinary phenolic ripeness. 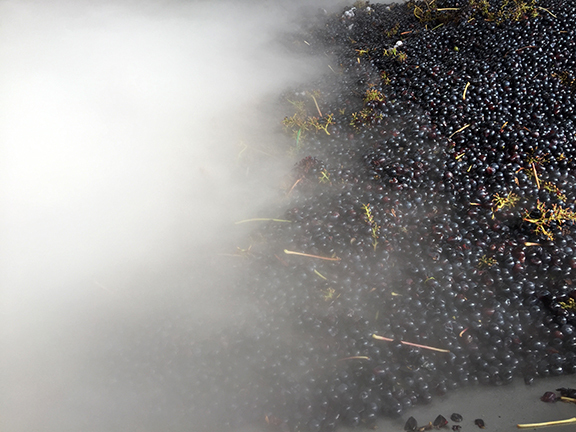 We are using dry ice to soften the grape skins and to help us obtain perfect polyphenolic extraction. The fog you see in the image is from the dry ice. Photo by Sveva Consonni Folcieri. Previous post ← Brunello harvest has begun!